Good posture and care of the skeletal system is an essential part of good health. Take notice of how you are holding your body, especially when you are sedentary for long periods, or performing repetitive tasks. It is easy to hunch forward or slump without realising the damage you are doing to your body. A quick scan of your posture periodically will alert you to these changes. Notice when you feel pain, loss of mobility, or difficulty in doing routine movements. Pain is a signal that your nervous system sends you when something has been damaged and you need to change your behaviour. Learn to listen to your body’s early signals (whispers) – don’t wait for your body to scream. Proper breathing is an essential part of being well. Breathing and posture are inter-related – one affects the other. When you breathe, your ribs move up and down, in and out; your diaphragm moves up and down and pressure changes in your chest and abdomen. When you are breathing properly, the movement of your diaphragm and ribs will help to create good posture. There are, or course, other benefits to breathing properly. Your nervous system, as the most vital organ, requires a good oxygen supply to stay healthy. Good breathing also helps massage and move other vital organs. When your breathing is shallow and/or just up in the chest, neither of these functions is operating properly. This shallow type of breathing fails to oxygenate your lungs properly and tends to lead to a ‘stress response’ in the body. Be aware of how you are breathing. A slouched, compressed posture will not allow for proper breathing, and shallow breathing will in turn, promote poor posture. Sitting for long periods is one of the most harmful things you can do. Constant loads on the tissues that support the spine (muscles, ligaments, tendons and discs) causes stress and damage to accumulate in these areas. Sitting for long periods also ‘trains’ your body and posture not to support itself properly. Apart from protecting your nervous system and keeping you upright, movement of the spine indirectly has another major role. When any of the vertebrae in your spine move, sensors located in the tissues supporting the spine (muscles, etc) fire off messages to constantly inform the brain where the body is in space. This barrage of nerve impulses sent up to the brain comprises 90% of the messages stimulating (and therefore maintaining the health of) the brain. Regular spinal motion is essential for the health of your brain and therefore your overall health. So, in addition to the stress and damage, long periods of stasis mean that the messages that usually are sent up to the brain do not get there. The result is reduced brain function and thus reduced health. When your nervous system is working properly, this tends to create improved posture. The postural regulatory mechanisms in your body are mainly automatic – you shouldn’t have to think about your posture all day. Poor nervous system function will often lead to poor posture. You may be familiar with the feeling that you can straighten up, but as soon as you stop concentrating on your posture, you go back to slouching. Anything that moves the spine will contribute greatly to your improved health. 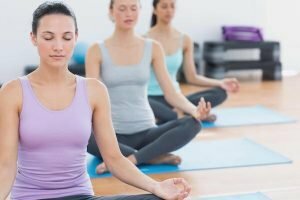 Practicing yoga, walking, swimming, and tai chi are all examples of gentle exercise that can be very beneficial for overall wellness through their effect on the nervous system. Chiropractors help improve your mobility and function by improving and maintaining proper spinal motion and nerve function. Proper motion of the spine maximises the amount of proper sensory input to your brain, improving overall brain function and therefore the function of other areas of the body. When the spine and nervous system are working better, this tends to help improve posture through improved body awareness as well as the mobility required to be in the right position. If you are concerned about your posture or know someone else who is, please call Canberra Spine Centre on (02) 6257 9400 to arrange for a thorough assessment of your spine and nervous system with one of our chiropractors. Visit Canberra Spine Centre today!